« Danieal Manning On His Way Out? The Bears have signed their first two picks, fifth round QB Nathan Enderle (Idaho) and sixth round LB J.T. Thomas (West Virginia), to four-year contracts. Enderle passed for 8,181 yards and 62 touchdowns as a four-year starter for the University of Idaho. The quarterback led the 2009 Idaho squad to a victory over Bowling Green in the Humanitarian Bowl – the Vandals’ first postseason appearance in 11 years. 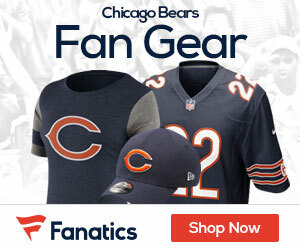 Enderle is expected to open training camp as the Bears’ No. 3 quarterback behind incumbent starter Jay Cutler and Hanie. As for Thomas, he’s projected as an outside linebacker, producing 73 tackles as a senior at West Virginia that included seven stops for lost yardage, 2.5 sacks, and two forced fumbles on the way to earning first-team all-Big East accolades. Thomas will wear #97, while Enderle will don #10. Draft pick update: According to the Chicago Tribune’s Brad Biggs via Twitter, the Bears are nearing an agreement with third round safety Chris Conte, from Cal. Bears also believed to be close to a deal for S Chris Conte, the 3rd rd pick from Cal. Fast and furious. With Manning as good as gone, Conte is expected to see playing time this season behind Chris Harris and Major Wright.